Acer Iconia W700 is a bit outdated tablet released in October 2012, which counts with a 5 mega-pixels back camera, a large 11.6 inches multi touch screen and an extremely fast 1.8 GHz Dual-Core processor. That's all? No, it's only the tip of the iceberg. Acer ships this device with an exceptional 1800 MHz Dual-Core CPU, included in the Intel HM77 Express chip with a large 4 GB RAM. Graphic intensive apps usually uses lots of processing time, so it uses an additional Intel HD Graphics 4000 GPU working at 650 megahertz to take care of them, leaving the processor free for other tasks. A key aspect of this device is its 64 GB inmense internal storage memory and even though it doesn't count with an SD memory slot, it it is more than enough to store tons of applications, games, pictures and videos without thinking about how much storage capacity is left. 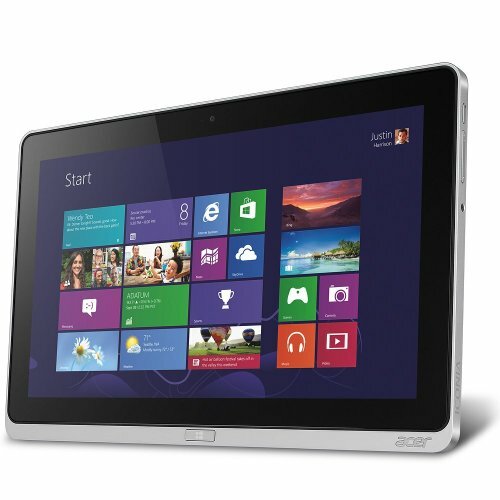 The Acer Iconia W700 is quite heavyweight for a device this size, weighting 36.8 oz. This tablet is a compact tablet, given that it features a 11.6" display and it's only 11.6 inches long. Acer equipped this tablet with a interesting 11.6" screen, and a resolution of 1080 x 1920 (Full HD), providing this tablet with a mid level graphical experience. 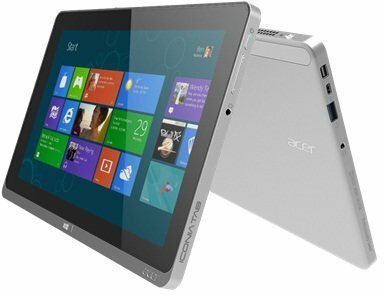 Its screen uses IPS LCD capacitive technology, and allows multi-touch for gestures like pinch and zoom. 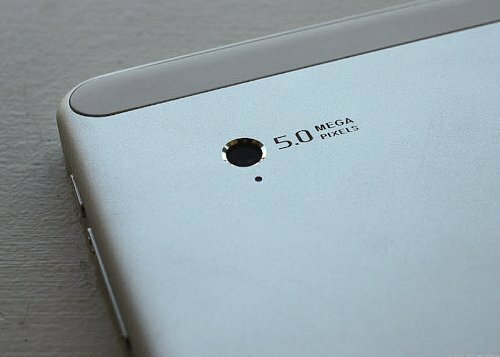 This device is equipped with only a 5 mega-pixels back side camera. 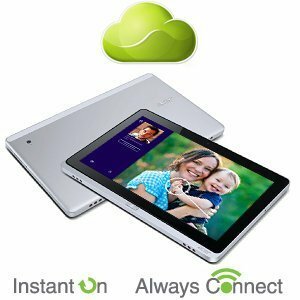 This tablet can also capture Full HD 1920x1080 videos. This camera also has auto-focus. This device doesn't have a SIM card, because it doesn't work with GSM networks. This tablet also features Bluetooth, and some sensors likeAccelerometer, Gyroscope and Compass. 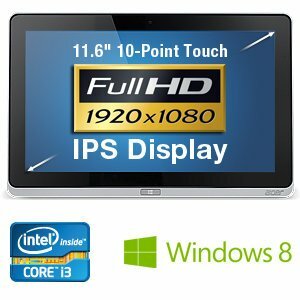 The Acer Iconia W700 is really overpriced considering it is offerred for $ 800, and some similar tablets are being sold for much less than that.